People with a wall-mounted TV often wonder where to put their new ROKU. One option is to tunnel an HDMI cable through a wall to an entertainment center, but this option is too destructive and time-consuming for many people. 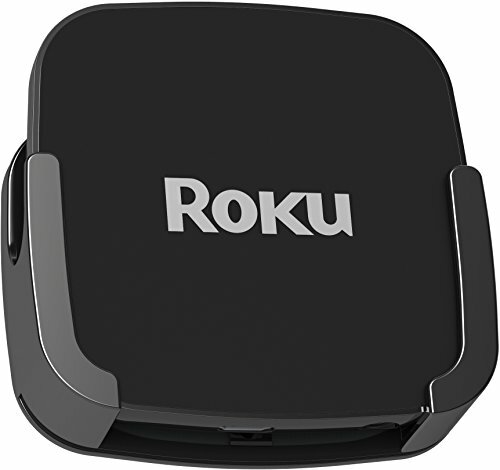 Another option is trying to balance the ROKU on a fireplace ledge, which can lead to the ROKU crashing to the floor the first time someone isn't careful around the TV. For wall-mounted TV owners, the solution to the ROKU installation problem is simple - TotalMount attaches ROKU to the back of your television. The installation is quick and easy. No tools are necessary to stick TotalMount to the back of your TV. FAQ - Will the remote still work? More expensive ROKU players include RF remotes that do not require "line of sight," so they will work as expected. Less expensive ROKU players include IR remotes. These remotes will also work if you mount your ROKU within six inches of the top of your TV or if you download the ROKU remote app to your smartphone. TotalMount is the trusted leader in media-player mounting. With a passionate team and many patents, TotalMount consistently delivers quality and reliability.